The Diowave 30 watt Laser Systems is the most powerful lasers available in the medical marketplace today. Offering maximum adjustable power output up to 30 watts. This provides Advanced Dynamic Therapies,Inc. treatment options and dynamic clinical outcomes. Diowave Lasers provide a Single Wavelength of 980nm for maximum penetration. Penetration is paramount in order to stimulate deep musculoskeletal, vascular, lymphatic, and neurological structures.Because 65% of laser energy is absorbed in the skin and subcutaneous tissue layers, the higher wavelength of 980nm is proven to be most effective due to its low melanin, low water, low hemoglobin absorption rates, with the result of an optimal wavelength for stimulating tissue at greater depths of penetration. 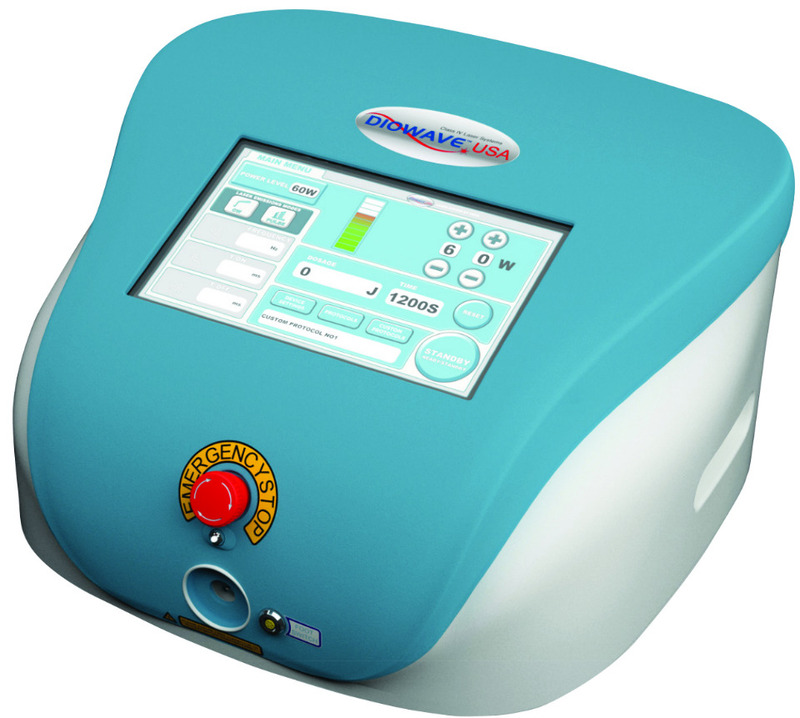 Diowave Lasers have been designed to uniquely combine higher power, single wavelength and larger treatment spot size for maximum power density. Power density indicates the degree of concentration of the power output. This property has been shown to play a major role in therapeutic outcomes. In sharp contrast to other lasers using dual or multiple wavelengths, the laser beam penetration is reduced by 50% or more. Dual or multiple wavelength lasers only penetrate as deep as each wavelength individually. The penetration is not additive.